In many economic and social situations, two groups of agents may interact through one or several intermediaries and prefer a larger pool of trading partners. Thus the interaction between the two groups exhibits indirect (or cross-side) network effects: agents of one group are better off when the number of agents in the other group increases (for more on this, see our theory digest on network effects). Here a few examples of what is now commonly known as two-sided platforms (see Chapter 22 in Belleflamme and Peitz, 2010). Payment systems organized around credit cards: the more merchants accept a particular card, the higher the benefits for consumers carrying this card, and vice versa. Computer operating system (OS): users enjoy a computer with a large variety of software, and developers prefer to write software for an OS with a large base of users. And so it goes fo video-game consoles, real-estate agents, heterosexual nightclubs. More often than not, platforms solves this problem by using a “divide-and-conquer” strategy: they subsidize the participation of one side (divide), hoping to recover the loss on the other side (conquer). Naturally, whether and how such strategy is implemented depends on several factors. Do several platforms compete for attracting the same groups of agents? Are agents able to register or not with more than one platform? How do agents feel about increased participation from members of their own group (they might welcome it if positive direct network effects are at work, but they might as well suffer from it if they compete with one another)? These issues are not only crucial from a managerial point of view (how should platforms design their strategies?) but also from a regulatory point of view (to which extent are platforms’ conducts pro- or anti-competitive?). We will devote a couple of lectures to study these issues. 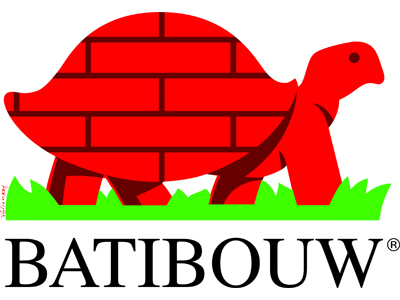 As a preliminary, I would like you to study the specific case of Batibouw. Batibouw is the greatest Belgian trade fair for building, renovation and decorating, both for professionals in the trade and the public at large (it is held annually in Brussels; at the time of this writing, the fair is one week old and has four more days to go). As a meeting place for the different actors in the building sector and the general public, Batibouw certainly qualifies as a two-sided (or even multi-sided) platform. Hopefully, combining your comments, we will collectively write a nice and instructive case-study.